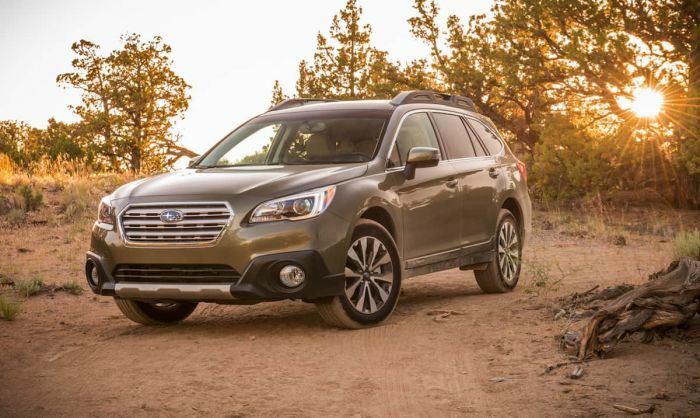 Subaru of America was hit with a lawsuit last year claiming 2015-2016 Subaru Outback and Legacy model’s windshield were spontaneously breaking. Law360 reports this week a federal judge in California said the drivers have standing and adequately pled that Subaru knew of the defects. U.S. District Judge Yvonne Gonzalez Rogers said Lucia Luong, a California woman, who claims her 2015 Subaru Outback developed a crack that had “spontaneously appeared” at the base of the windshield, had sufficiently alleged claims on behalf of a proposed class of California drivers under a mix of state and federal consumer protection, unfair competition and warranty laws. After taking her Outback wagon to the dealer, she was denied warranty coverage. The California woman filed a lawsuit in June 2017 alleging Subaru knew as early as 2014 that Outback and Legacy windshields were designed and/or manufactured with a defect and the company knew this in 2014. The California Judge says Subaru knew of the defects and the plaintiffs will receive compensation. Luong isn’t the only Outback owner that has had windshield issues with the Subaru Outback. Her attorneys cited there have been “hundreds of thousands” of complaints to the National Highway Traffic Safety Administration (NHTSA) by other Outback owners reporting they also have had their windshields spontaneously crack. The class action lawsuit claimed the windshields of 2015-2016 Subaru Outback and Legacy models “contain one or more design and/or manufacturing defects that cause the windshield to crack, chip and/or fracture.” Luong's lawsuit against Subaru of America was filed in the state of California, District of California- San Francisco, where the plaintiff lives and was decided by a trial by jury. My windshield cracked in 2015 after being hit by a stone from a nearby dump truck on a US Interstate. The installation of the new windshield at my dealership proved faulty and resulted in a 48 day stay at another dealership to find that the black box which controls the emergency brake was compromised by water leakage from the replaced windshield. This was in 2016. Some symptoms associated with neck strive urab.pijnweg.amsterdam/instructies/oefeningen-voor-pijnlijke-schouder.html could evince the salubriousness of a brashness kinsfolk or the spinal weave is at jeopardy, or it is plausible that there is an underlying defect or infection. These symptoms etvo.artritis.amsterdam/help-jezelf/ikea-tuinkussen-opbergbox.html can digit radiating sadden, tingling, numbness, or chink into the shoulders, arm, or hands, neurological problems with level, walking, coordination, or bladder and evev.terug.amsterdam/informatie/remedio-bom-para-cartilagem-do-joelho.html bowel check, fever or chills. I own a 2018 Subaru Outback Touring. My windowshield cracked and was replaced at my dealership on April 6, 2018 at a cost to me of $1,128.81. On June 18, for no obvious reason, my windshield cracked again. My dealership searched the windshield top to bottom. They pointed to a spot the size of the tip of a pin as the cause ... they refused to replace nor even discount the cost of a new $1,100.00 windshield. Realizing this is likely to occur over and over, I am sick that I spent $50,000 for a car that, two new windshields later, has now added another $2,200 to my cost and a ton of frustration to my ownerdhip experience. Based on my experience with post-purchase service support..... run, don't walk, away from this model Subaru!! Yesterday my son and I were sitting in the car(2018 Outback Touring) and we hadn’t even left the parking space yet and we both hear a loud popping noise and a large crack appeared and started spreading almost the entire length of the windshield. It was a spontaneous crack with no reason and no chips or areas of concern prior. I called my local dealership and they were so rude and told me it was my problem and that I should just submit it to my insurance to pay. Not happy! Same here, a large windshield crack caused by a tiny point on my 2018 OB today. I drove to a nearby Subaru dealer they refused to fix it under warranty. I dig out a file, Subaru's "12-192-15R", about extending warranty for 2015-16 OB windshield. It seems the same manufacturing problem still existed on 2018 model, the windshield is very easy to get crack. 18 outback owner. same thing happen to me this morning. spontaneous horizontal full length front windshield crack. boyfriend's outback (17) has same thing, although did propagate (days later) from a spot where a rock had dinged the glass). Same, we will now be having to get a new windshield for the second time in less than a year with less than 4,000 miles on the car. Not even a small rock chip should cause an immediate crack in any windshield. What's the point of a "rugged outback" if you can't take it to the mountains where they put cinder down on the roadways? Larry, yours is a story that I think is more common than most Subaru owners know. We bought s 2019 Outback Limited w Eyesight in September 2018. Great car so far BUT in January my windshield was hit by something very small, I could barely here it and a crack developed at the base , windshield rest area. Our previous 2013 Outback also needed a windshield replacement in 2017 . After reading the other comments and yours, looking at the glass itself and using a.small bit of logic it seems to me that Subaru now knows why this is happening but prefers to ignore it There may be several factors involved, thinner glass in the outer layer, a different composition of glass i notice that this glass has a tendency to pit from contact with sand or other small objects , much more than older Subarus or other cars. The large expanse of glass my have led Subaru to lighten by specifying a thinner glass. Whatever is causing this needs to be scientifically determined and If Subaru has made changes then they should be held responsible. Apparently one case has gone to court. Need more and hopefully if found in the owners’s favor then perhaps you can get some retroactive settlement. Has anyone else noticed millions of pinpoint dots all over the windshield of their 2017 Outback, that esp show up when the sun shines on the windshield. I have a 2018 Subaru Forester with a cracked front windshield. It too has a spontaneous crack that happened on June 9. It is August 18 and Subaru still does not have a replacement windshield. A second long crack has appeared while sitting in my driveway. Even though my car has a full body warranty, Subaru says I must pay over $1,000 to replace it. We purchased a used 2016 Forester this past year, very low milage might of only been driven in the summer. It developed the crack Dec 7th, 2018 in the evening, at least that is when the dash cam started to show it. We are in Canada, I hope Subaru Canada is paying attention to this. Apparently Subaru has done nothing about this problem. I just purchased a brand new 2019 Subaru Outback 3.6R Limited. Drove it home from the dealer and parked it in the garage. Came out 2 hours later and the windshield was cracked 23 miles on a brand new car and the windshield cracks for no apparent reason.Dealer will replace it under warrants, but now I'm affadi this may be a continuent problem. Same here. 2018 Outback parked in the garage one night, next morning going to work windshield had a crack. We leased this car after returning our 2015 outback which had the very same issue. waiting for Subaru to acknowledge it and issue service recall. seems this is also going to be a class action. Minor pebble has broken our windshield twice. The crack extends across half the windshield in a manner I have never seen before .looks more like a house window break instead of a windshield. I will never purchase a Subaru again and would recommend no one else buy one. Same thing has happened to a friend. My 2015 Subaru Outback sustained a windshield stone break in 2015. It was replaced in early 2016, but the seal leaked and caused the computer on the firewall to be water damaged which locked up the electronic parking brake twice in the next eight months. Both instances required a flatbed haul to a dealership. Finally, after another window replacement and 48 days in the shop the problem was resolved. In Colorado, where I go frequently, many vehicles sustain windshield damage each year and it has nothing to do with the auto maker. Purchased my Subaru in February of 2018. Had a crack appear several months ago. Thought it was due to road hazard. This morning got in my car to find another cracked windshield. After reading these comments it looks like that will be an ongoing problem. Subaru will not be my choice of vehicle in the future. Purchased new 2018 Outback 3 months ago and yesterday a spontaneous crack appeared from the bottom of the windshield-nothing hit the windshield to cause it!. I called the dealer/service and they have asked me to bring it in to be evaluated. From what I have read online, it sounds like it is NOT an isolated issue. Purchased a Subaru Outback 2018. Just got the second cracked windshield fixed. Subaru clearly knows about this problem and is trying to get us to pay for it. I was hoping that running out of gas three times because of the faulty instrument cluster was all the excitement I would get from this car. I wonder what will fail next? Maybe its time to Lawyer up! I have a 2018 Subaru Outback with 5,000 miles. A crack in the windshield appeared at the bottom of the passenger side, it started as around 10 inches but a second crack later appeared the full height of the windshield. I had purchased extended coverage for the car but Subaru advised it only covered cracks less than 6 inches. I brought the car to the dealer who pointed out a chip in the windshield that may have been from a pebble hitting it below the windshield wiper, they told me they were not responsible, I should file an insurance claim. I have had many cars that have had pebbles hit the windshield but not one has ever cracked. I believe that there is a defect that Subaru is ignoring, the dealer claimed that the defect was only in 2016 models and it was corrected. A new windshield will cost over $1,000. Just got my second 2018 outback windshield crack...it's spread two foot in seconds from a tiny rock chip. This will be my second windshield replacemeny in 8 months. This is clearly a safety issue as this windshield design is obviously weaker than other car manufacturers'. I'm really irritated and very disapooijted. I wrote to Subaru and am interested to see what they have to say. I own a 2015 Subaru Outback lease/purchased in Canada but built in Indiana. The windshield has developed a crack without any indication that it was caused by a projectile. The windshield was identified as a one that a 'spontaneous breaking' but it apparently is only considered eligible for replacement by Subaru if the car is equipped with windshield wiper de-ice blades which I contend is irrelevant if the glass cracks and the windshield is deemed DEFECTIVE. I own a 2015 Outback. The windshield cracked up from the bottom spontaneously last week. The first Subaru service manager looked and said it was not a warranty issue. The second Subaru service manager looked and showed me the written Subaru instruction that indeed it was a warranty issue and is replacing the windshield and recalibrating the cameras under warranty. I finally found my October 2015 letter from Subaru notifying me of the problem in detail and informing me of the "Important Notice: Warranty Extension for Windshield Cracking at Deicer on 2015 and early production 2016 Legacy and Outback". We own a 2018 Subaru Outback. We purchased it in January of 2018, and by March of 2018, we had a crack starting from the top, that happened while driving in town. We never saw a pit or small defect prior to getting into the car after an errand and seeing a now large crack-no noticeable chip to speak of. Much to our surprise, it was just about $900 to replace because they also have to recalibrate the isight, which was $250.00. Now, less than a year after it was replaced, we were out in the mountains, heard a small rock hit, did not notice where the chip might have been, if there was now a chip, and within 10-min of driving, it begins to crack. We never even had a chance to try and get it repaired before it just cracked. In all my years of driving, I've never had to get a windshield replaced (and TWICE NOW) after a small chip, where I was typically able to get it into a repair place soon after a chip. Apparently, Subaru glass doesn't afford even a day to get in and get a repair done before it just altogether cracks. Have a new 2019 Subaru Outback with less than 2000 miles on road. Crack started at the very bottom of the passenger side and extends outward toward the center approximately 10 inches. No dings or damage. Took the car to Church then parked it. Went out the next day and the crack was there. Pictures are telling and clearly show no exterior damage caused this to happen. At dealership now to fix the windshield washer connection. Car sounds like it’s in a wind tunnel now. Called regional office and hoping they will do the right thing. I emailed how disappointed I was with having to now replace a second windshield in 10-months. All I got was that they were sorry to hear and if I went through my insurance, they might help me cover some of my deducible. Might being the keyword after I'd already be out of pocket. Small rock chip or not, you should't have literally minutes before it cracks beyond the 'repairable' stage. I'm beginning to wonder if this is an issue on only those with Eyesight (maybe thinner glass to accommodate the cameras) or if it's all Subaru models? I purchased my 2018 Subaru Outback in August. Experienced the first cracked windshield on 11/01/2018. Had it replaced at my expense. The second cracked windshield occurred on 01/29/2019. I am not a happy Subaru owner.